This is a post for all the Teddy Talker users among us! If you aren’t familiar, read about the Teddy Talker program in this post. The creatives over at Teddy Talker sent me their newest product, Phoneme Friends. Phoneme Friends is a 40 page download. 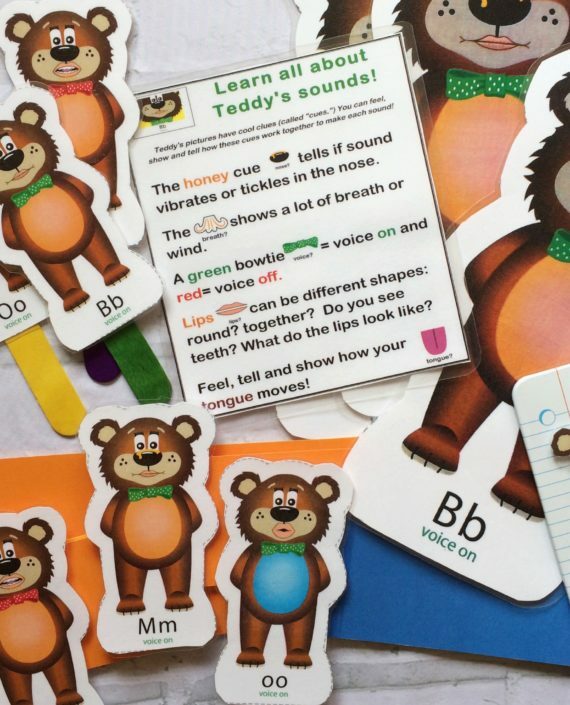 The printables have Teddy’s cueing system for sound features identical to the Cards you reviewed and the images work together to create sequences. Teddy now has grown a tummy, color coded for vowels and consonants! 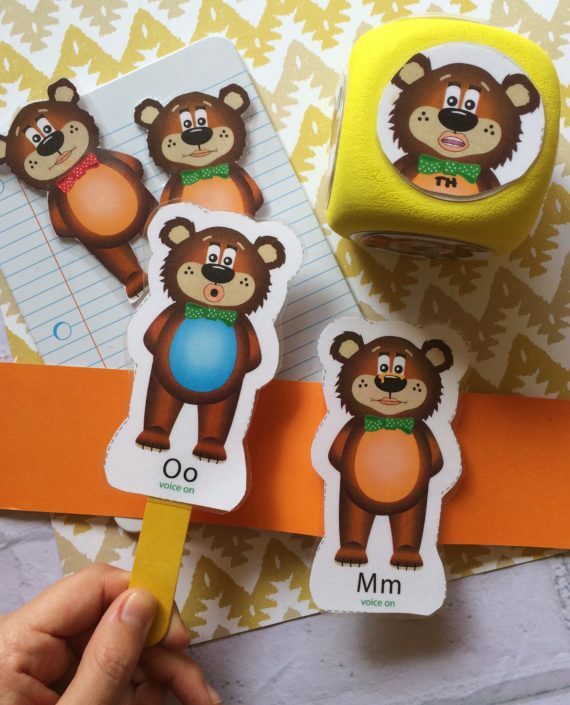 They are Teddy-ready for learning and fun…once cut out, they easily become puppets, headbands and games. SLPs can use the phoneme friends downloads to incorporate into other play. My immediate idea is to incorporate the bears into the nursery rhymes like Goldilocks! How easy would it be to focus on SOUNDs and mouth placement as an off shoot of the 3 bears! To learn more, check out the Creative Speech Products page.